I treated myself to this set of Hero Arts stamps and dies combined for Christmas. It's such a treat to be able to stamp a stamp like this and not have to fussy cut it out, just run it through the machine. I'm squeezing in at the last minute on the Gingersnap challenge, but with this great sketch from Tuesday Morning Sketches I was able to pull this off and use this wonderful vintage embellies that I got from The Funkie Junkie. 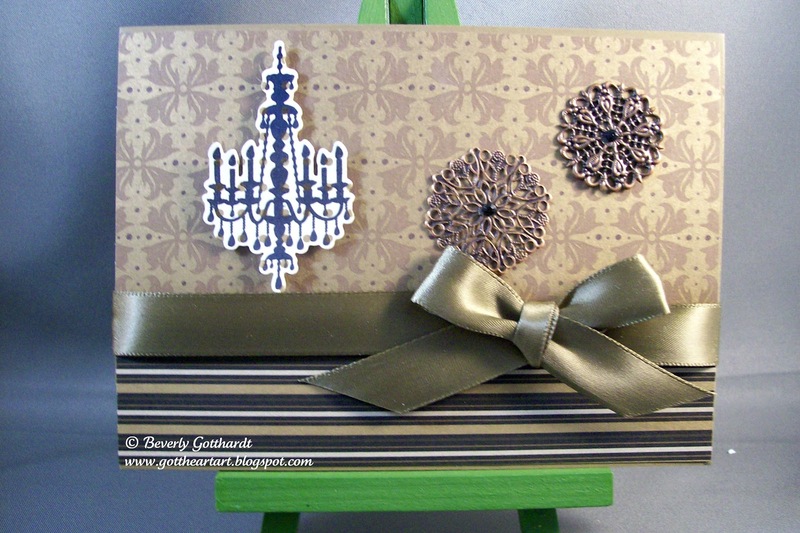 I liked how they went together so well with this rich Mocha Morning designer paper. I had to show the inside of the card tonight to make the title of this post make sense. I created the sentiment on the computer and ran some more of that Mocha Morning designer paper through the printer. I've got a special couple in mind to pop this in the mail to next week. Wonderful card. Great intrepertation of the sketch. Those vintage embellishments are perfect. Thanks for joining us at Tuesday Morning Sketches. Your card is beautiful! I think the post title makes sense even without seeing the sentiment inside because the front of the card IS grand! I have that chandelier stamp, but not the die. It looks so pretty cut out. Thanks for joining us at Tuesday Morning Sketches. Really pretty, Beverly--hey, if you're going to treat yourself, it might as well be to something good, right?? 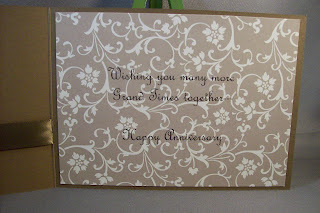 Beverly this is a beautiful card and what perfect images and sentiment for an anniversary!! So beautiful and elegant!Lovely card today! This is wonderful. Love the vintage accents with the image, perfect combo. The inside is gorgeous, too. So glad you joined us at Tuesday Morning Sketches this week. Beautiful card -- love those die/stamp combo sets! Very elegant combination of DPs and image. Thanks for joining us at Tuesday Morning Sketch challenges and hope to see you again next week! 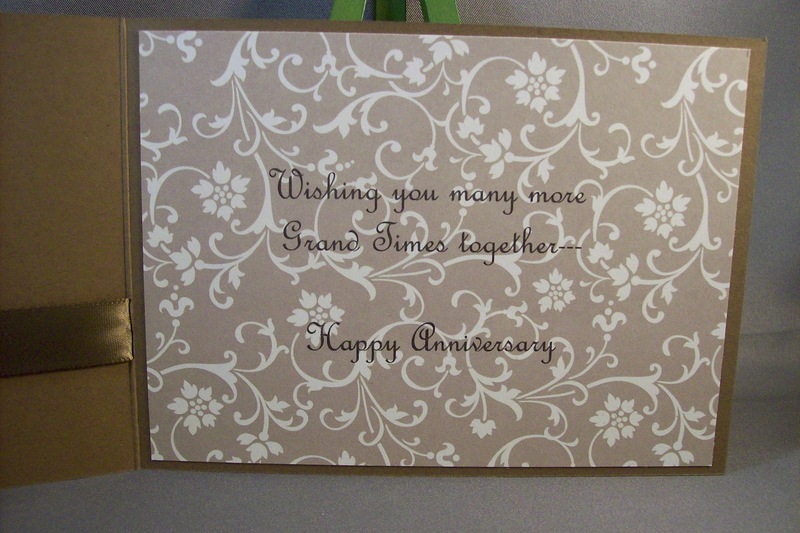 Very elegant, and just perfect for an anniversary! Thanks for sharing this with the Gingersnappers!